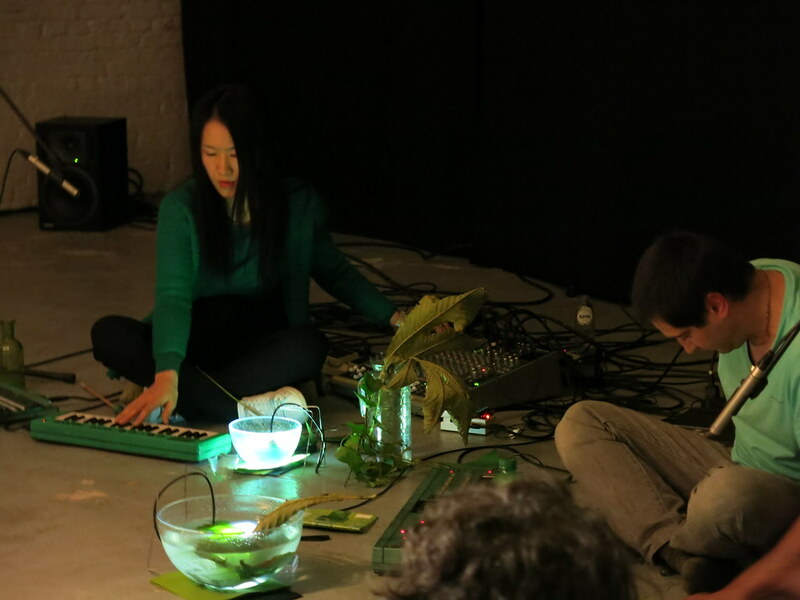 Japanese-Italian duo, Tomoko Sauvage and Francesco Cavaliere, interprets « Green Muisic », a piece by a Danish fluxus composer, Henning Christiansen. 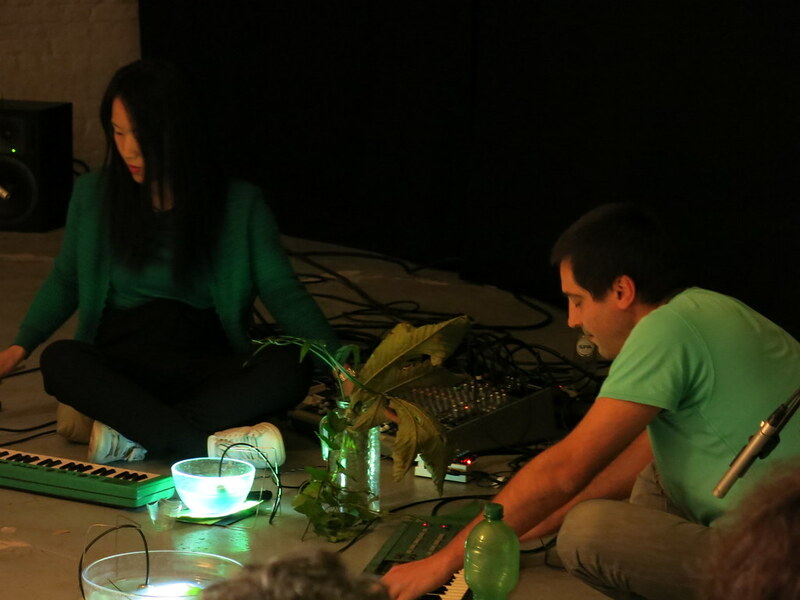 They play green objects, from plants, tea, oil, glass, ceramic, cassettes to green-painted synthesizers (Christiansen painted his violin green), some amplified with different types of microphones. 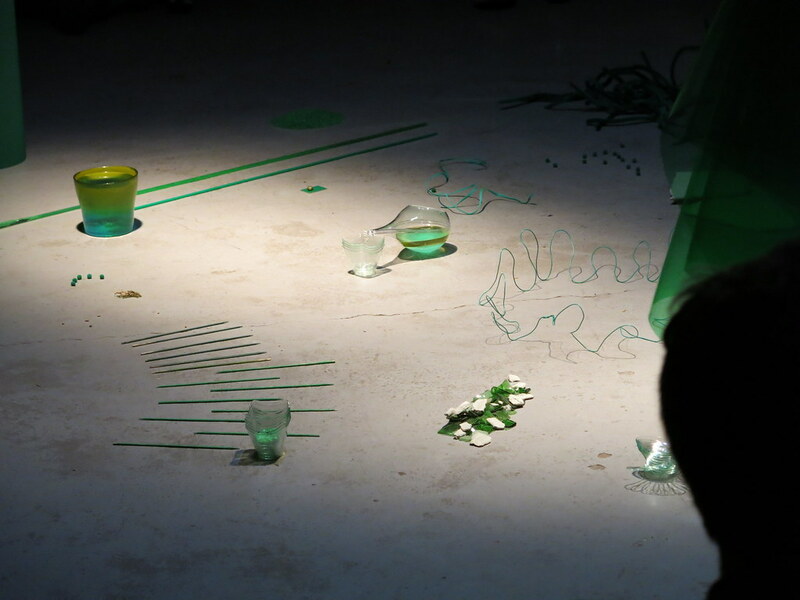 Their ‘set up’ installation looks like a laboratory of pigments or a graphical score of music. 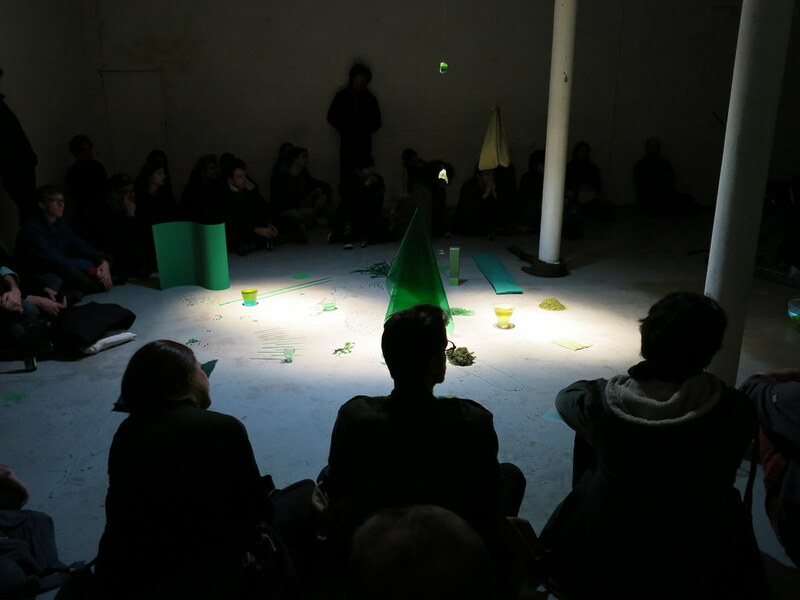 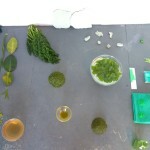 While the piece is performed, the objects and different shades of green are mixed and displaced as if in the act of painting. 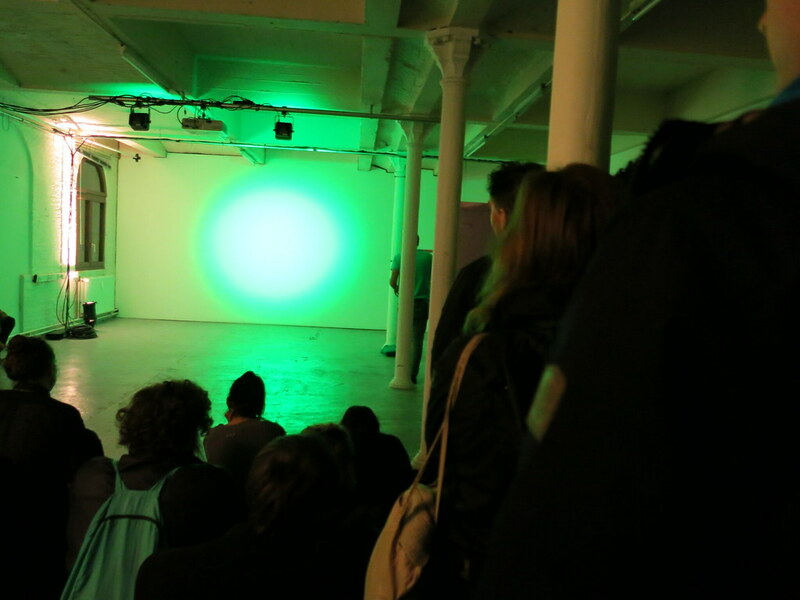 Their inspiration also comes from the archives of attempts of making relations between colors and sound in art history and science. 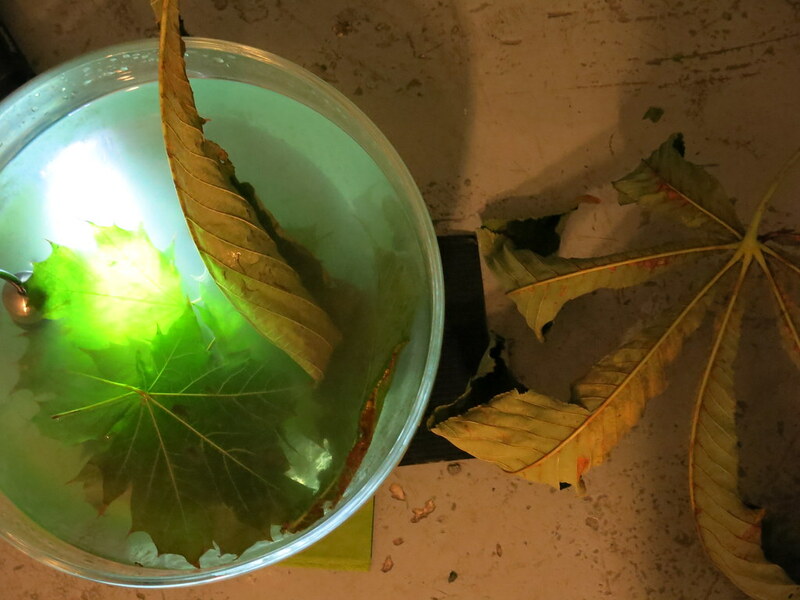 Between analogue and digital, organic and mineral, composed and improvised, in color-selected randomness, Sauvage and Cavaliere search to play visual music of contemporary celebration in harmony with life.